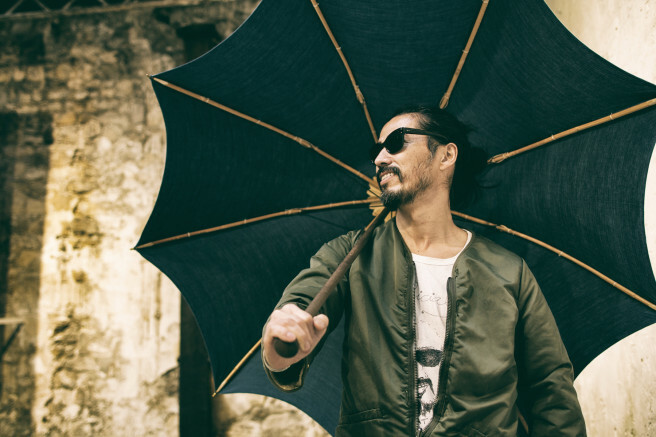 Business of Fashion speaks to Visvim designer Hiroki Nakamura, whose label has attracted a global cult following by breathing new life into traditional American workwear. PARIS, France — When he was young, Hiroki Nakamura’s mother set him the task of sorting out his closet, purging it of old clothes. As he sat there, sifting through its contents, he wondered what made it easy for him to part with some garments but not others. What he felt, without fully realising it, was that some things were made with care, while others were not. The things that spoke to him tended to be made before 1960. At first glance, many of Visvim’s clothes can look fairly ordinary, though in reality they are anything but. It takes a trained eye to see the artisanal elements that makes them stand out — and command high prices. Nakamura makes his garments from the inside out, imbuing them with character through uncompromising workmanship. The process begins with fabric development. All of the fabrics Visvim uses are developed specifically for the brand by mills that Nakamura selects personally. No one else gets the same fabrics, many of which are dyed by hand. Even when they are dyed industrially, Visvim insists on using natural dyes, most famously indigo, the traditional dye that gives denim a particular vividness that cannot be replicated by chemical processes. Some of Nakamura’s garments (or their components) are vegetable-dyed, mud-dyed and even bug-dyed. Leathers and sheepskin are all vegetable-tanned; a process that can take two weeks, while industrial chrome tanning takes only a day. Finally, the clothes are often finished by hand or incorporate handmade details, from handmade buttons and button loops to hand-painted graphics. This meticulous finishing is typically Japanese and sets Visvim apart from the kind of industrially produced fashion that is typical today. There is uneasy irony in Visvim’s endeavor, as the methods with which American workwear were first produced have mostly disappeared in the US. So has the know-how. Today, it survives largely in Japan and largely because of brands like Visvim. Indeed, preservation of traditional production methods is critical to Nakamura and his business. Selvedge denim used to be made with old looms that gave selvedge a fascinating irregularity. But the looms were deemed inefficient because they made narrow bolts of fabric. After new, industrial looms were introduced in America, manufacturers dumped their old looms in post-war Japan, which now produces some of the world’s most prized denim. Nakamura, who is now forty-three, grew up watching American films and spent time in Alaska as a teenager. He has been collecting vintage denim since he was young. But his fascination with clothes was simple: he just wanted to look cool. While his older sister admired designer fashion made by the likes of Yohji Yamamoto, he and his friends gravitated more towards utilitarian clothing. In his twenties, Nakamura went to work for a sportswear company in Japan. He gained technical experience, but deep down, he knew he wanted to start his own brand. The American workwear movement was already established in Tokyo in the 1990s and Nakamura wanted to contribute. In 2001, he began making footwear under the brand name Visvim. When shoemaking took off, he slowly expanded into making clothes, imbuing his products with the same sense of care he found in the vintage items he liked. But Nakamura did not simply want to reproduce old clothes and shoes. He wanted to breathe new life into them, to make them modern. It’s this marriage of vintage and new that is at the very core of Visvim’s philosophy and the driver of its commercial success. Nakamura’s best-known product is the FBT shoe, a hybrid that marries a moccasin upper with a sneaker sole. “The FBT represents the melding of old world craftsmanship and sneakers,” said Jian DeLeon, deputy style editor at Complex magazine and a contributor to BoF. “Today, you have Adidasmaking suede moccasins on an EVA (Ethylene Vinyl Acetate) sole and Cole Haan’s LunarGrand, which put wingtips on Nike’s Lunar sole. Nakamura really pioneered that space of putting two and two together and that’s why it remains relevant to a certain kind of discerning consumer,” continued DeLeon. With his ready-to-wear, Nakamura applied the same approach, infusing traditional with modern touches. In his showroom at men’s fashion week in Paris, for example, there hung a double-breasted woollen jacket, lined with a layer of Gore Windstopper fabric that was completely invisible. The Internet has been an unlikely contributor to Visvim’s success. Today, style forums like Superfuture, along with magazines like Inventory and Complex, brim with information about Japanese-made workwear. Visvim is the kingpin of this movement, in part, because the clothing enthusiasts that congregate on the Internet caught onto it early. Visvim has been accepted by both the hipster elite that shies away from anything that screams “fashion” and the fashion industry itself. “Being able to wear Visvim almost makes a statement about your status, that you are not only able to afford to buy into the brand, but your career allows you to wear it so freely. It’s a different kind of wealth indicator,” said DeLeon. Now, Visvim is expanding into womenswear, which Nakamura designs with his wife Kelsi. Visvim’s woman is a perfect compliment to the Visvim man: a kind of Californian haute hippie that exists somewhere north of Hollywood and south of Silicon Valley. Kelsi, who used to wear only vintage clothes, wanted to apply Nakamura’s clothes making processes to womenswear. At the showroom in Paris, Kelsi pointed to components of a capsule collection for women. Among the standouts was a sheepskin coat, which, like much of what Visvim produces, at the first glance did not look all that different to a thrift shop find. But on closer inspection, the difference was clear: the sheepskin, vegetable tanned to show the delicate irregularities of the hide; the buttons, handmade and covered with leather. The Nakamuras travel extensively, often with empty suitcases that they fill with clothes found at flea markets, which continue to be an unending source of inspiration, a window into the kind of history that Visvim brings into the present.